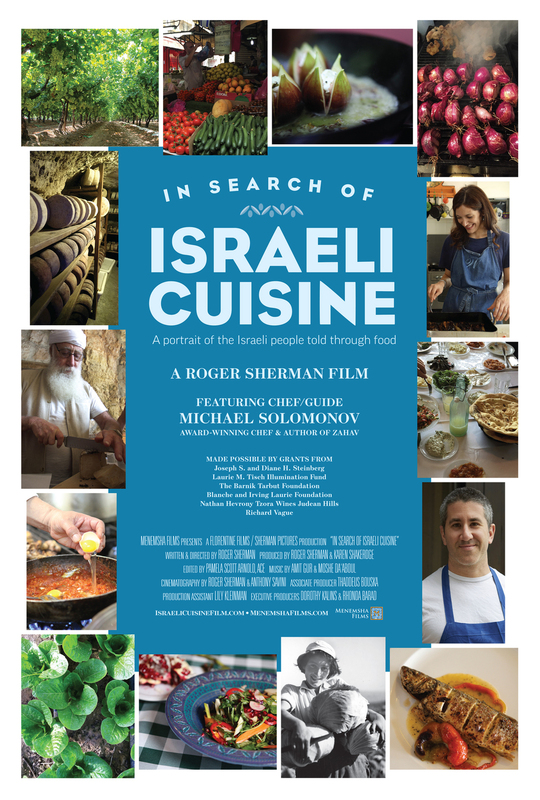 In Search of Israeli Cusine, written and directed by Roger Sherman, follows award-winning chef Michael Solomonov (of Philadelphia's Zahav restaurant) on a journey through Israel to discover the defining flavors and dishes in that country's kitchens. 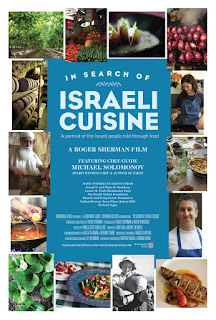 Let's start with the basic question of the film: What exactly is Israeli food? The word I remember most from the movie is complex. To say the country's food is global is a bit of an understatement. The cuisine has been influenced by thousands of years of indigenous peoples and cultures, by twentieth-century immigration, and by modern-day newcomers. 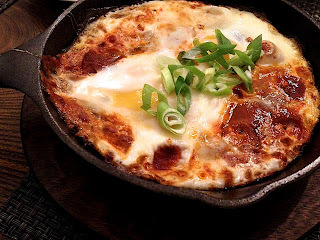 The resulting dishes aren't what one would consider to be fusion, but something wholly different. For such a small geographic area, Israel is a land of great diversity, from desert, to coastline, to lush hillsides and cold mountains, and each region has its own ingredients and traditions. In addition, you cannot talk about any aspect of Israel without taking politics and religion. As other reviewers have noted, In Search of Israeli Cuisine doesn't give us a definite answer, but through Solomonov's adventures and interviews, we discover the incredible variety of foods to be found throughout Israel. We visit cheese caves, wineries, tomato farms, fruit orchards, olive presses, and fishing villages. We learn the differences between Tel Aviv and Jerusalem and how cultural and religious traditions affect the food choices in those cities. I particularly liked meeting the people, including growers / producers, chefs, food writers, and merchants. I was surprised to learn that religious dietary laws are not particularly strict and that politics and cultural issues can have a strong affect on the fate of restaurants. I hadn't realized that Israel was on the cutting edge of a new kind of global cuisine. In some ways, Israel is not all that different from other immigrant countries: People bring with them the traditional foods of their homelands. 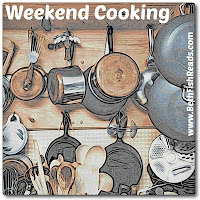 Yet in America, cooking the dishes from home can be comforting, whereas in Israel in the mid-twentieth century, foods from Europe were a reminder of hardships, war, and persecution. Still, it's difficult to shed the culinary expectations set in one's childhood. Thus Israelis have a unique perspective on their country's cuisine or lack thereof. Michael Solomonov has a relaxed, natural screen presence, which makes the film easy to watch. He doesn't have the slick, broad vocabulary of a Food Network star, and--frankly--I find that refreshing. We aren't subjected to a drawn-out assessment of each dish; instead Solmonov often gives us just a simple, "That's delicious." 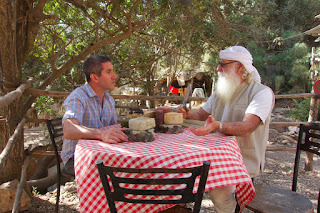 The filming of In Search of Israeli Cuisine was nicely done, showing us the scenery, the food, and the people with equal attention. Thanks for reviewing this documentary -- now I know I have to see it! I have several Israeli cookbooks both by Israelis and outsiders, originally published throughout the history of this very young country, and it's amazing how a cuisine has developed from the historic elements you mention. I would love to visit Israel. John is a little leery, however. I will have to watch this-tonight is the perfect night-husband has other plans. It is interesting how Middle Eastern food is almost the same but not the same with each country having it's own variation. Check out this restaurant Mokonuts in Paris. I ate there last week. She has a chocolate chip cookie with black olives. I know sounds strange -just outstanding food. The pastry chef is Japanese and the food chef is originally from Beirut. This film sounds really interesting. I know nothing about Israeli food and I love the idea of a complex combination of many cultures and aesthetics. This looks like a documentary that I would really enjoy. 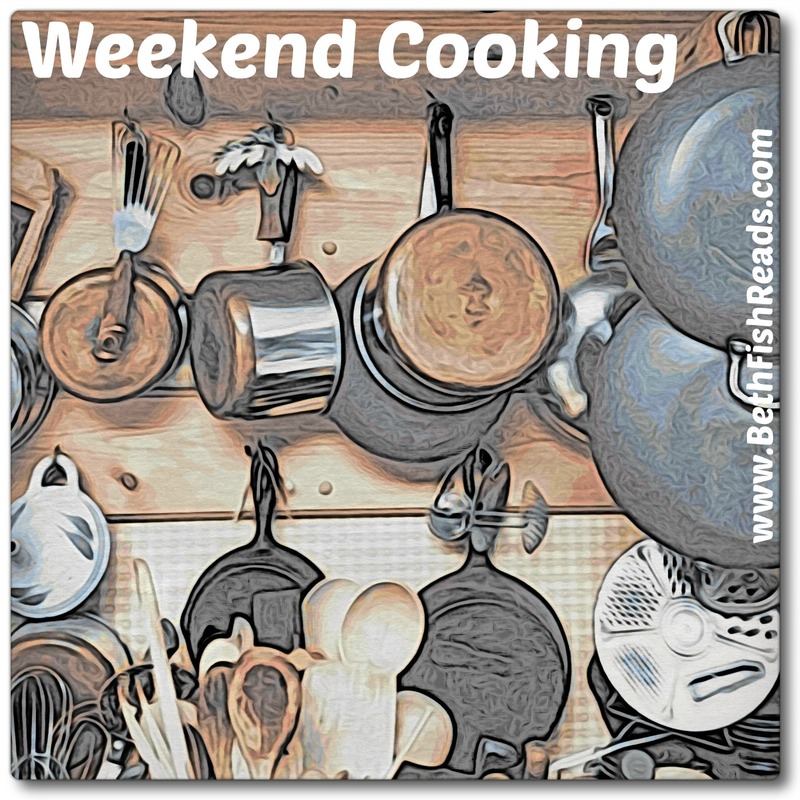 I love Israeli cuisine and have quite a few different cookbooks that feature it and I love learning about the cultural and regional aspects of food. Thanks for sharing! I added this to my watch list on Netflix last week. I want to watch it soon, it sounds so interesting. Sadly, I know very little about the Isreali community, but I know I would find this documentary fascinating. Thank you for sharing. I love food documentaries and this one sounds intriguing! Adding it to my list to watch this week. Thanks, Candace! I love to learn about other countries and their food origins. This one looks terrific!